Edit your photos and improve their look. Crop, zoom pictures. Remove red-eye effect, adjust color parameters such as brightness or saturation. Sharpen or soften objects shapes with the Deblur tool. Apply pre-made effects. Work with various image formats such as JPEG, BMP, GIF, etc. 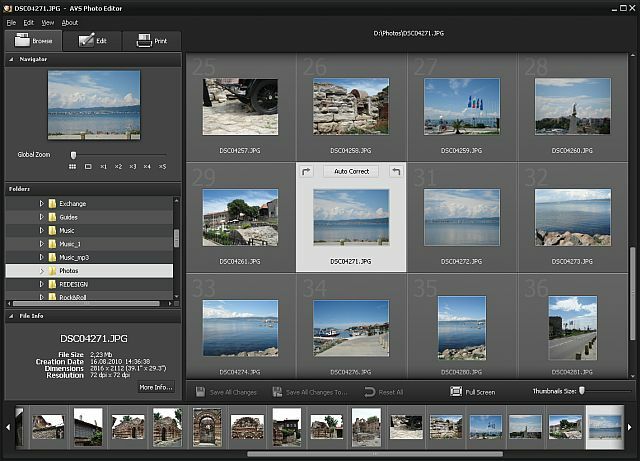 AVS Photo Editor is a part of AVS4YOU package. Register once and use all tools from the www.AVS4YOU.com. Subscribe for $39/year or $59/lifetime.